Wedding anniversary quotes that capture the occasion perfectly, helping you to express your love and gratitude on such a special occasion. An anniversary gives you the opportunity to reflect on your relationship, thank your partner for their love and support, and celebrate the wonderful moments and experiences you share together. But sometimes it's hard to put our feelings into words! So here is a collection of wedding anniversary quotes and sayings that we think will help you express your love and appreciation on this special occasion. As there are so many wedding anniversary quotes and sayings, I've grouped them into categories. You can click on each link to see a topic, or scroll down the page to read them all. A selection of wedding anniversary quotes about "loving you". This first one is my favorite, it's just so sweet! I find I've been thinking of you. "I love two things, you and the rose. The rose for one day, and you forever." "When I say I love you more, I don't mean I love you more than you love me. I mean I love you more than the bad days ahead of us, I love you more than any fight we will ever have. I love you more than the distance between us, I love you more than any obstacle that could try and come between us. I love you the most." and the beat in my heart..."
But I have seen thee, and thou art enough. " I found this small number of wedding anniversary quotes about how your partner can teach you about love. "Love is just a word but you bring it definition." No one is perfect, and if we can truly love each other despite these flaws, that is very special. These happy anniversary quotes capture the essence of love despite our imperfections. "You don't love someone because they're perfect. You love them in spite of the fact they're not." These wedding anniversary quotes and sayings on marriage are so sweet and would be lovely as part of an anniversary speech or written in a card. "Marriage is getting to have a sleepover with your best friend every night of the week." "Marriage is the highest state of friendship. If happy, it lessens our cares by dividing them, at the same time that it doubles our pleasures by mutual participation." What better wedding anniversary quote than one which talks about the future that still awaits you? If you want to reflect on your relationship and how it has matured over time then these wedding anniversary quotes will inspire you. "Marriage is like a fine wine, if tended properly, it just gets better with age." "If I had a flower for every time I thought of you... I could walk through my garden forever." "Each day I love you more. Today more than yesterday, and less than tomorrow." These love-themed wedding anniversary quotes and sayings are so beautiful and help you put into words emotions that can be quite hard to express. Perfect for a happy anniversary speech or for including in a card. "He who loves, flies, runs, and rejoices; he is free and nothing holds him back." "Love doesn't sit there like a stone, it has to be made, like bread; re-made everyday, made new." "There is only one happiness in life; to love and be loved." Some beautiful bible quotes which work well as wedding anniversary quotes. Two are better than one, because they have a good reward for their toil. For if they fall, one will lift up his fellow. But woe to him who is alone when he falls and has not another to lift him up! Again, if two lie together, they keep warm, but how can one keep warm alone? And though a man might prevail against one who is alone, two will withstand him - a threefold cord is not quickly broken. Some humorous wedding anniversary quotes for including in a happy annivesary card or speech. "We're all a little weird. And life is a little weird. And when we find someone whose weirdness is compatible with ours, we join up with them and fall into mutually satisfying weirdness - and call it love - true love." "Love - a wildly misunderstood although highly desirable malfunction of the heart which weakens the brain." "To keep your marriage brimming, With love in the loving cup, Whenever you're wrong, admit it; Whenever you're right, shut up." "A dress that zips up the back will bring a husband and wife together." "Marriage, n: the state or condition of a community consisting of a master, a mistress, and two slaves, making in all, two." We hope you enjoyed our wedding anniversary quotes and sayings! We also have a collection of wedding anniversary poems and verses, so do check them out if you're looking for more happy anniversary message ideas. And our Anniversary Wishes, Messages, and Greetings page is full of inspiration to help you wish your Partner or a Couple a very Happy Anniversary. 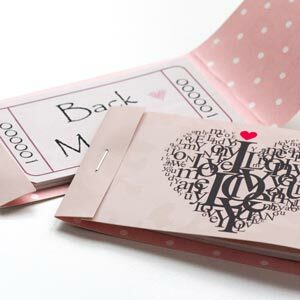 Including a wedding anniversary quotes section with happy anniversary message ideas underneath. We also have year-specific wedding anniversary gift collections for celebrating those important anniversary milestones! 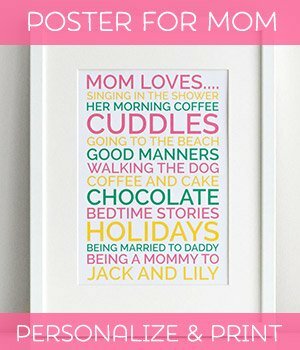 If you're looking for an anniversary gift idea, do check out our personalizable posters, where you can create a special anniversary gift for the special person in your life. 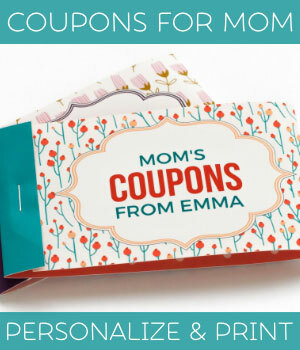 Or our personalized love coupons, for a gift which keeps on giving!